The Reactor is an impressive tube. The full-sized provides a mountain of diffusion with no drag, and it puts on quite a show while doing it. 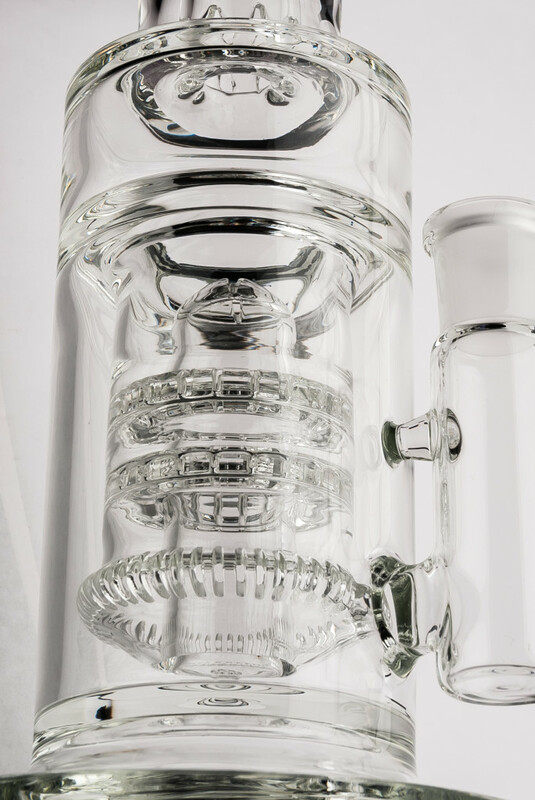 The main perc is a full-sized showerhead can with a slight maria at the cut section. Inside are two large ratchet percs, fixed around a cylinder of glass originating from the base, creating a fixed showerhead monster. This tube turns a little water into an engine of diffusion by virtue of the multiplying effect showerheads have on water moving from high volume space to restricted volume percs.